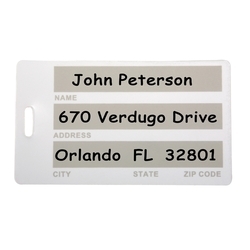 The reverse side of these tags have an imprinted identification panel for writing your name and address information.? Made from Post-Industrial Recycled Styrene Plastic Material. If requested, at no charge, we’ll add the symbol and the text “ Recycled Styrene Plastic”. for writing your name, email address and address information. 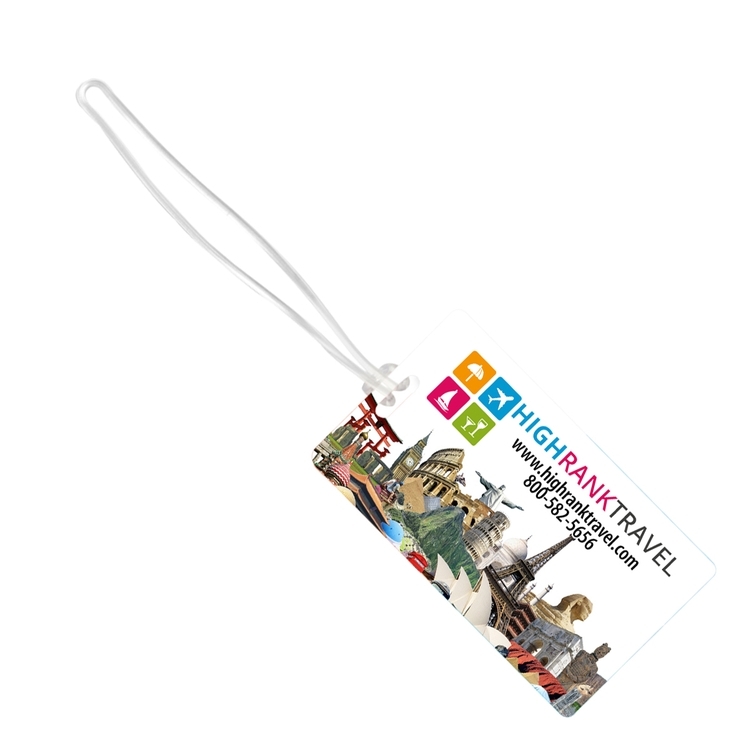 PhotoImage ® Full Color Imprint Setup Charge: $55.00 (G). Price Includes: up to a Full Color Imprint. Exact color match is not guaranteed. Made from Post-Industrial Recycled Styrene Plastic Material. If requested, at no charge, we’ll add the symbol and the text “ Recycled Styrene Plastic”. Email Proof: $7.50 (G), add 2 days to production time. 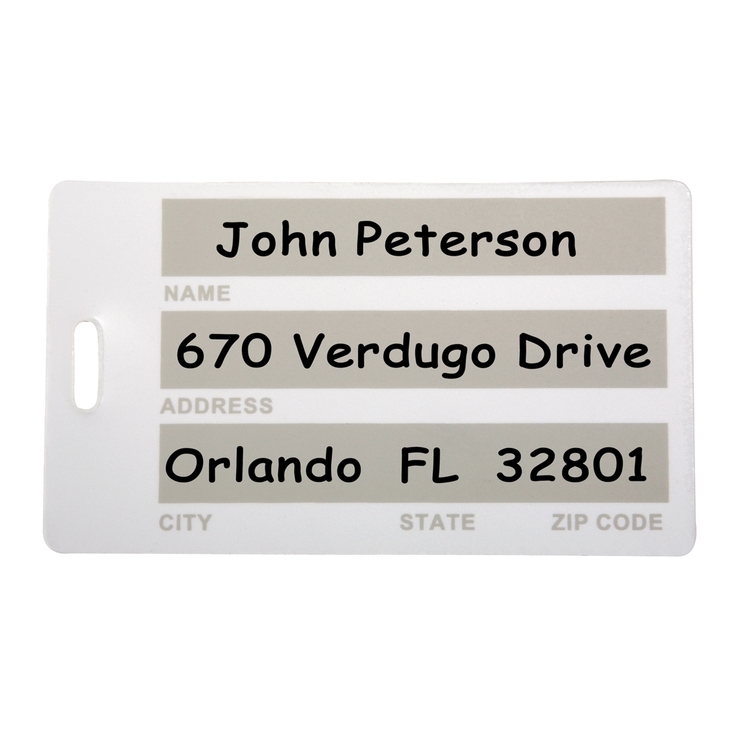 Speculative Sample: $25.00 (G), plus setup charges, cost of the item, and cost of any additional color per unit running charges and freight charges. Production Time: 5 Days. 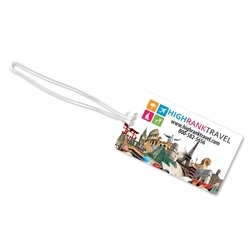 Luggage tags are die cut manually and material may shift slightly during the bulk cutting process. No two pieces are exactly alike so two imprint colors cannot be perfectly aligned and can deviate as much as 3/16. Exact logo alignment cannot be achieved for multi color logos.